Just more of the same – except this time the victims are in Ammon and Edom. And Damascus (which apparently has some Christians today believing that the recent wars in Syria are the fulfillment of this prophesy). And some places I’ve never heard of – Kedar and Hazor (towns in Israel near the Jordan River); and Elam (an ancient civilization in southwest Iran). OK, we get it – Yahweh is out to destroy everybody! So now, after using Babylon to attack and destroy everyone else, Yahweh vows that Babylon itself will be destroyed and attacked. Seems a little underhanded to me. In v 6 we get the sheep metaphor that is ubiquitous in Christianity – perhaps it was lifted from passages like this. “My people hath been lost sheep: their shepherds have caused them to go astray, they have turned them away on the mountains: they have gone from mountain to hill, they have forgotten their resting place.” I am reminded of a line from the General Confession from the Book of Common Prayer, which was read in my church every Sunday and which I can still recite from memory “We have erred, and strayed from thy ways like lost sheep”. 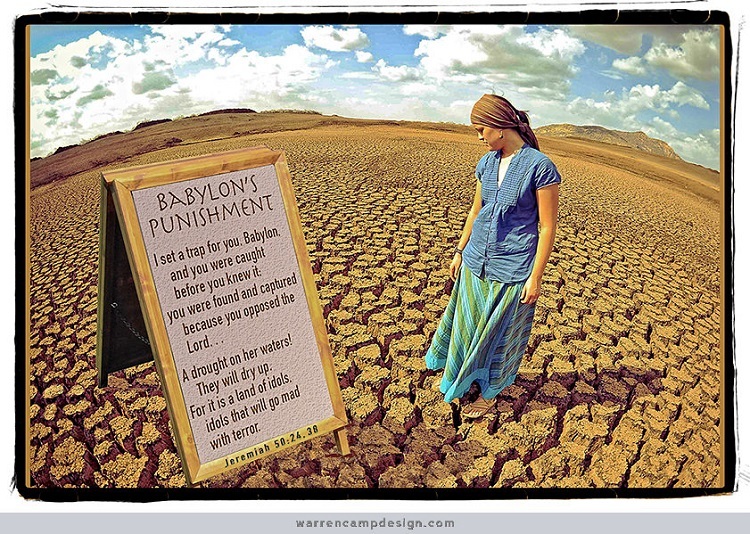 Check v 37 contains a fine example of misogyny (“The sword will strike her horses and chariots and her allies from other lands, and they will all become like women”); and v 39-40 has another iteration of the (incorrect) prophesy that Babylon will become an uninhabited wasteland. This is becoming very repetitive.